Does anyone remember the story about the gingerbread man? What a horrible story. I mean, the gingerbread man spends the entire time running away from people/animals trying to eat him… only to be tricked and eaten by a fox? Horrible. What’s the moral of the story? Don’t trust a fox? duh. The old lady who baked him should have gotten at least one bite. 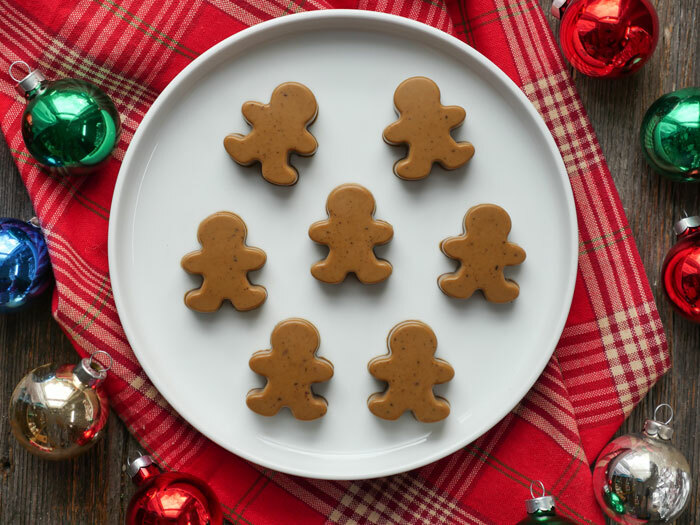 The Gingerbread Gummy Guy was related to the Gingerbread Man – they were second cousins. The thing is, the Gummy Guy was way smarter than his cookie of a cousin. 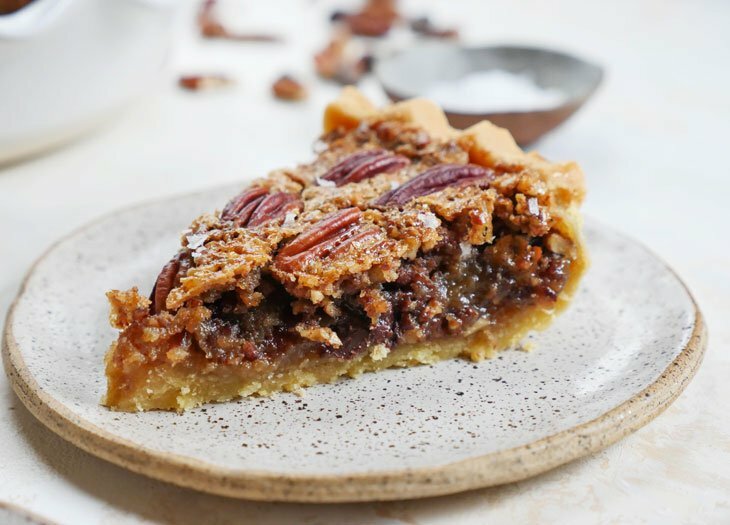 That guy was made with white flour and refined sugar – he was a hot mess from the start and gave the family a bad name. Gingerbread Gummy Guy was intent on proving himself to the world. His mission: to get people to choose gingerbread gummies over cookies. He knew it wouldn’t be easy, but he knew he had the potential to help change lives. That’s because he was made with healthy and natural ingredients: gut-healing grassfed gelatin and creamy coconut milk. Not only was he one smart gummy, he was a sweetie too… after all, he was made with unrefined maple syrup and a touch of molasses. Let’s just say, he was popular with the ladies. One fine day, Gummy Guy ran into a girl named Ashley who just so happened to be a healthy food blogger. Gummy Guy thought his prayers had been answered… maybe Ashley could help him create more healthy gummies like him and share them with the world. Unfortunately, Ashley didn’t buy into the whole gingerbread gummy thing. Who in their right mind would choose a gummy over a cookie? she wondered. Gummy Guy was persistent and also a little bit of an egomaniac. He kept bragging about how great he was because he was made with grassfed gelatin. He told Ashley that by eating gummies, she could have better skin, hair and nail growth. That the grassfed gelatin that he was made up of could even help her with digestion, wrinkles (due to the collagen), and possibly even cellulite. The last two potential benefits caught Ashley‘s ear. As much as she hated to admit it, she was a little vain. 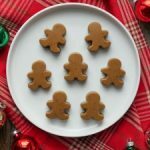 She took gummy guy to her lab kitchen, and took a couple biopsies bites from him to try and come up with a delicious gingerbread gummy recipe. 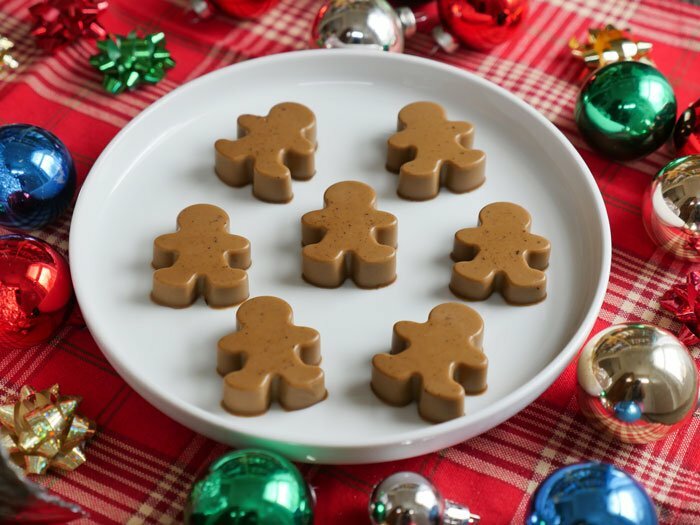 After a couple tries, she came up with something delicious – a jiggly treat that tasted a lot like the solidified version of her gingerbread creamer recipe. Ashley handed Gummy Guy the recipe along with this gingerbread silicone mold and sent him on his way. 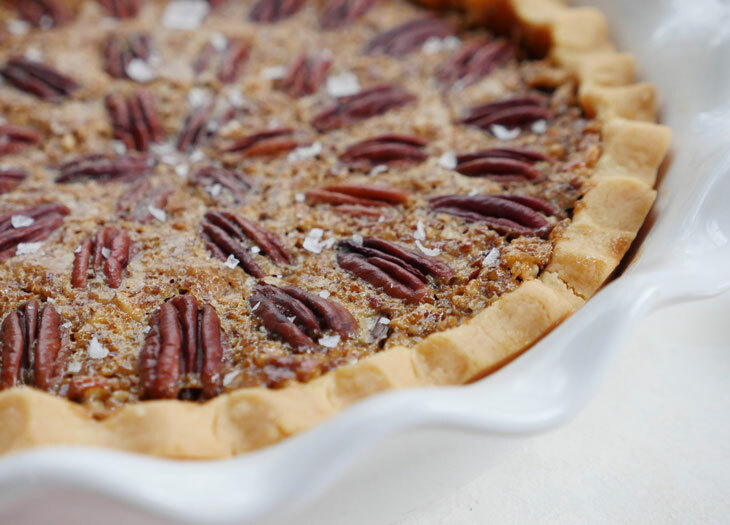 Before he left, he looked Ashley square in the eye and made her vow to share the recipe on her blog. She smiled and nodded as she waved goodbye to her gummy friend. 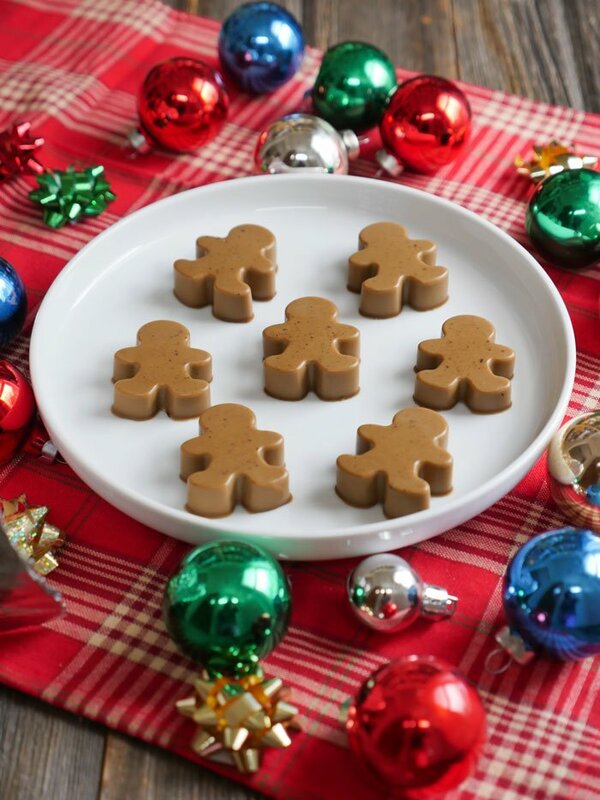 Epilogue: Ashley made the gingerbread gummies for her picky husband, Roby and he loved them. She was shocked… and pleased. Oh and Gummy Guy eventually met and married Gummy Gal and together they had 1000s of babies. 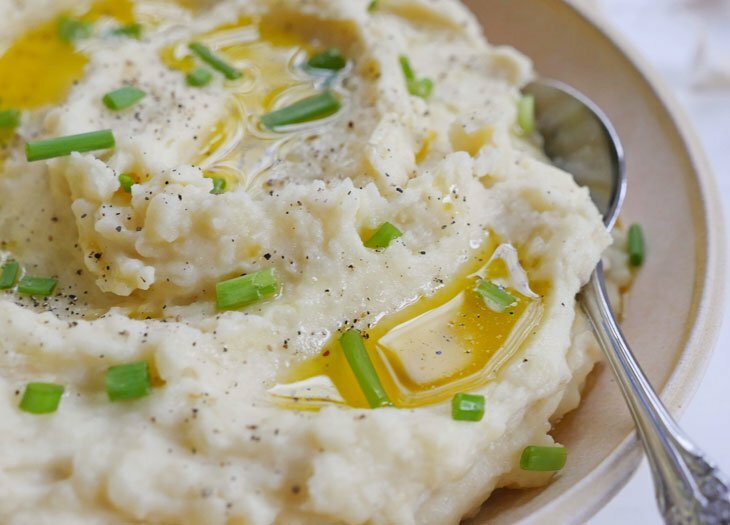 Add the remaining ingredients to a saucepan over low-medium heat, whisking for about 4-5 minutes. Slowly pour the warm mixture into the bowl with the water and gelatin and whisk until the gelatin completely dissolves. Pour the mixture into a mold (this is the gingerbread mold I use) and refrigerate overnight, or until firm. Gently remove the gummies from the mold and then store the gummies in an air-tight container in the fridge for up to one week. Love your story! Can’t wait to make some Gummy Guys! I love you. End of thought. On another note do you ever have trouble getting the gummies out of the molds? I have Star Wars ones and Lego ones and the gummies never come out whole. lol! and yes, I def have trouble sometimes – I feel like some molds are more forgiving than others. If you have trouble getting your gummies out, just add a bit more gelatin than the recipe calls for next time. Thanks, probably the gingerbread men are easier to get out than a gingerbread millennium falcon. I didn’t have any molds, so I just cut it into old-fashioned cubes. The leftovers were easy to store and have made a very handy snack. I will be making these again around Christmas. And probably before. And also…tomorrow.